Aircast Airlift PTTD Brace by DJO Canada is a perfect device for 'flat foot'. Easy to use and easy to apply. Works good when treating posterior tibial tendon dysfunction (PTTD). The innovative rear entry design helps the patients slip their foot from the back of the brace. Two adjustable straps provides custom and secure fit. The friendly design allows the user to put on the brace very easily avoiding time consuming process. Available in three sizes; Small, Medium and Large for both men and women. Aircell inflation can be adjusted even with the brace on the foot that helps to achieve maximum comfort and stability. Can be washed with hand with a light detergent. The Airlift PTTD Brace can also be used for non contact sports. The Brace can be chosen according to the shoe size however the calf strap is standard size that fits calf circumference of upto 10". This brace prevents the turning of the ankle both inwards and outwards and also lifts the foot arch. It is advisable to wear the brace over the socks. The air pockets are durable enough to withstand high pressure and weight during sports and weight lifting. Perfect to use for PTTD troubles. Have a very good experience with this. I just can say its a great deal from Aircast. This is my second brace as the first one that was given to me by my doctor was not comfortable and did not do much to lessen the pain. 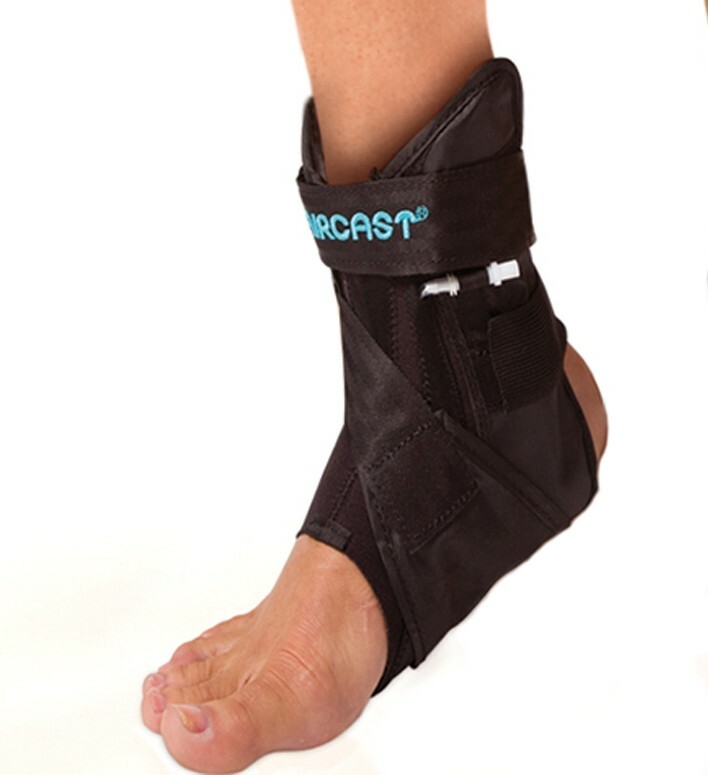 Aircast Brace is much more comfortable and is easy to wear and remove.